Enter the front hall, with its Grand stair large enough to toss a wedding bouquet to a flock of well wishers, and this 7 bedroom, 6 and ~ bath home will charm you with built-ins and spectacular molding and trim work as only a Custom built John Diament home can. 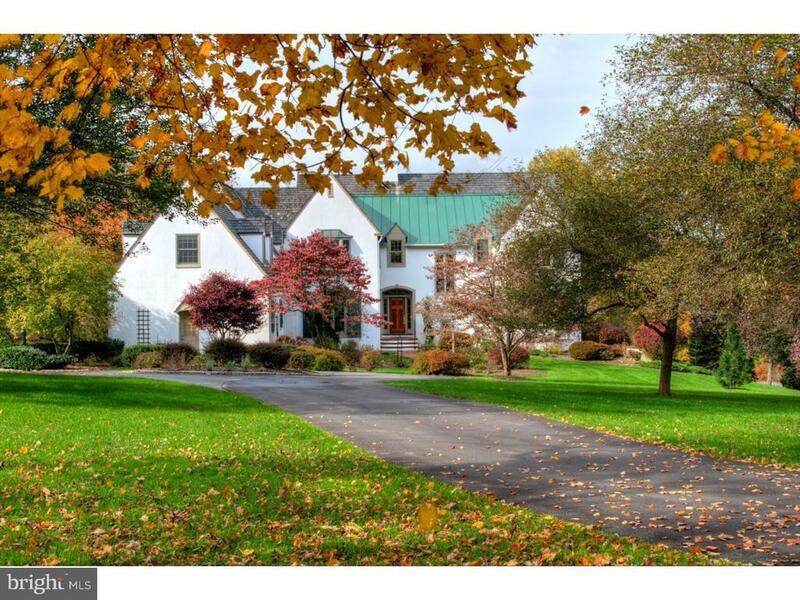 The setting on these 4.4 acres is one of the highest points in Chester County affording magnificent views of the valley from almost every room, porch and deck in the house. Multiple French doors of the living room lead to a covered porch and wrap around deck that adds to the great circular entertainment flow of the interior. The eat in country kitchen with huge island, double oven, desk area and large walk in pantry has room for a large farm table to set up a gormond buffet or just enjoy the morning paper and coffee while taking in the views. Abutting this is a cozy nook with a view so that no matter how many guests come into the kitchen it will always have have plenty of overflow room. To complement the first level a large study with bay window is next to a formal powder room, a formal Dining room has large French windows, pocket doors and built in china cabinets. The full bath at the end of the hall serves the pool and under the back stair even a quiet place for Fido. The walkout/Daylight lower level includes a large family room with fireplace, possible au pair suite, 7th bedroom with full bath, Wet bar, state of the art wine cellar a workout room and room enough for a shop. Did I mention...Beautiful pool with hot tub and views of the valley and spectacular grounds from its decking. You can even retreat into the lower meadow and enjoy the wildlife from the porch of the barn. Just Minutes to the new turnpike entrance, making commuting a dream and shopping is also mere minutes away. Great Valley Schools wrap up a beautiful package for your next home.